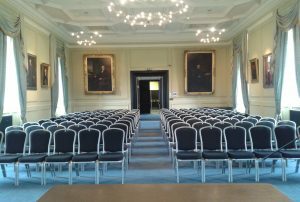 Hosting your meeting or event at the University of St Andrews gives you the opportunity as an organiser, the choice to use both historic and modern buildings within our campus locations. 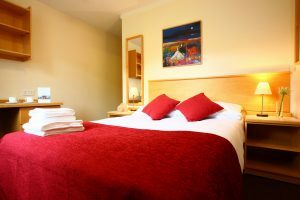 With a history dating back over 600 years, as well as a range of unique venues the University offers a variety of fantastic, affordable accommodation options which are available throughout the summer, including 3-star en suite rooms with B&B and dinner packages or self-catered apartments. Our team of event managers will work with you to assist the delivery of your event and our operations team can create bespoke menus of Scottish inspired cuisine using the finest local ingredients and will always be on hand to assist with planning your event. 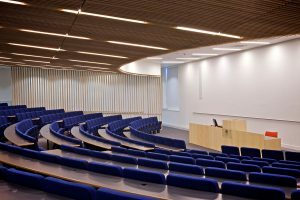 Our event managers have a wealth of experience organising academic and association conferences including Professional Conference Organisation support to their clients both internal and external. Many of the events hosted at the University are international or national association conferences, which the academics have successfully bid to host. From registration to the organisation of social programmes, each of our event staff offer a range of skills and support to ensure that your conference or event is a success.